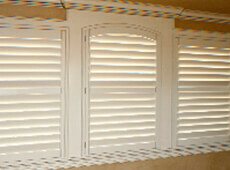 Lightbenders Louver Designs is your premiere source for custom designed plantation shutters. 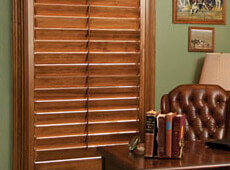 We specialize in O'Hair shutters, which are made in America from American hardwood and feature solid hardwood bookmatched construction – no laminates or plywood cores, and no cheap plastic louver pins or rickety tilt rods. 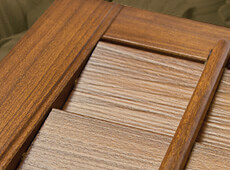 They represent the ideal blend of computer-controlled precision millwork and traditional joinery, and they are made to last for the life of your home. 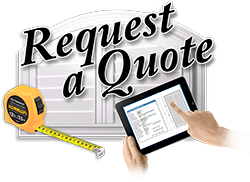 They are custom designed for every individual window and door and are exactingly built for precise architectural integration. 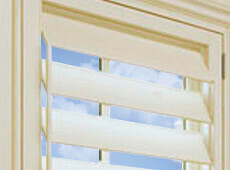 In addition to their precise fit and enduring beauty, they are so well engineered and so strong that they are supported by the manufacturer's transferable, life-of-home warranty* – the best warranty in the business. 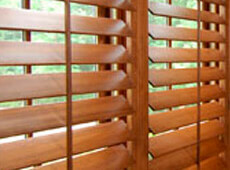 Our shutters are available in hundreds of configurations, with panel sizes up to 50" x 133", in multiple or full-height louver sections, and with louver sizes ranging from a traditional 1.5" spacing up to a breathtaking 5".